The “Continuity of Care” program at the Law Office of Kenneth Carp is best summarized as a relationship and team approach to controlling unemployment costs. Kenneth Carp focuses on every hearing being a stepping stone to a more successful representation at the next hearing. Through working with the same employer contacts and witnesses Kenneth Carp builds upon experiences and enhances the employer’s ability to succeed in the future. The actuarial firms which compete with the Law office of Kenneth Carp represent employers one hearing at a time and each hearing in isolation of future hearings. Call us at 636-947-3600 and have Attorney Kenneth Carp, retired Air Force Lt. Colonel discuss with you how communication with you, the employer, helps in witness and evidence selection and how the post hearing review time is used to build a better success rate at unemployment hearings and minimizing risks to the employer on other claims that a former employee could file against you. With our “Continuity of Care” program – together we learn and develop success on a daily basis and continually work to control unemployment tax liability. Employers can and do contact the Law Office of Kenneth Carp prior to the discharge of an employee. Just because an employee violated a known policy or a condition in the employee handbook does not mean that unemployment benefits will be denied. In fact, an employee who quits can often receive unemployment benefits. Contacting us before a discharge or before filing a protect to benefits can make the difference in whether your tax rate will be impacted by a claim for unemployment benefits. Our “Continuity of Care” program is built upon the premise that we can learn from our experiences. 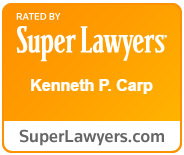 The distinction between the Law Office of Kenneth Carp is that no one event stands alone. Unemployment tax liability is a cost which can be controlled by the employer and will be successfully controlled through your relationship with us. In appreciation of controlling cost our services are based on set fees so you know our cost up front. Call us at 636-947-3600 and learn how a relationship built upon personal attention makes a difference.